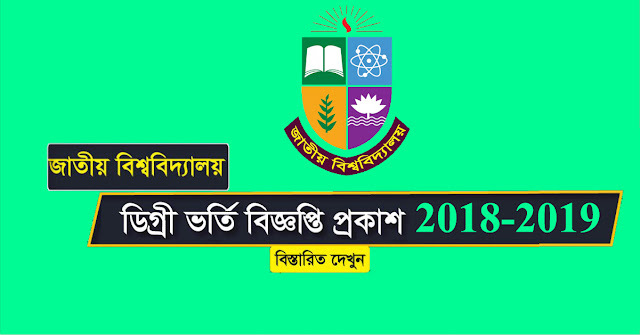 NU Degree Pass and Private Admission Registration Circular Notice 2018-2019. NU Degree Admission 2018-19 notice For the Pass Course. NU Degree Admission Circular 2018-19 Will Publish by National University Bangladesh Through nu.ac.bd/admissions. National University Degree Admission 2018-19 Online Application Form Fill Up Will be Start From December 2018. 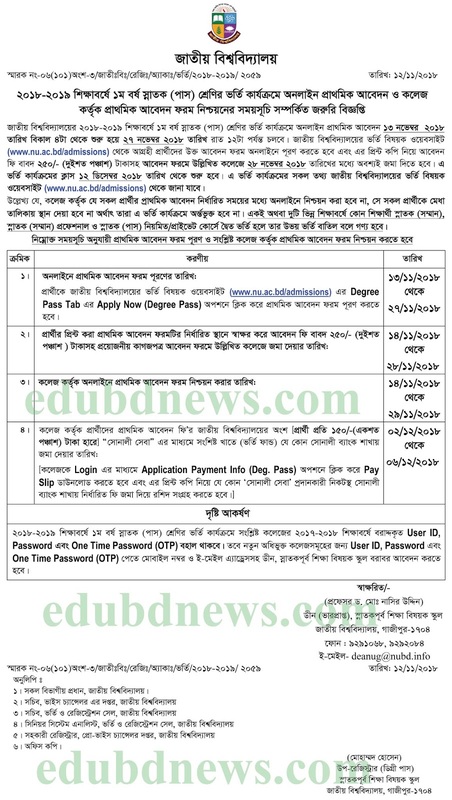 NU Admission For Degree Pass Course Admission Circular will Publish Here, After Publish NU Official Site. 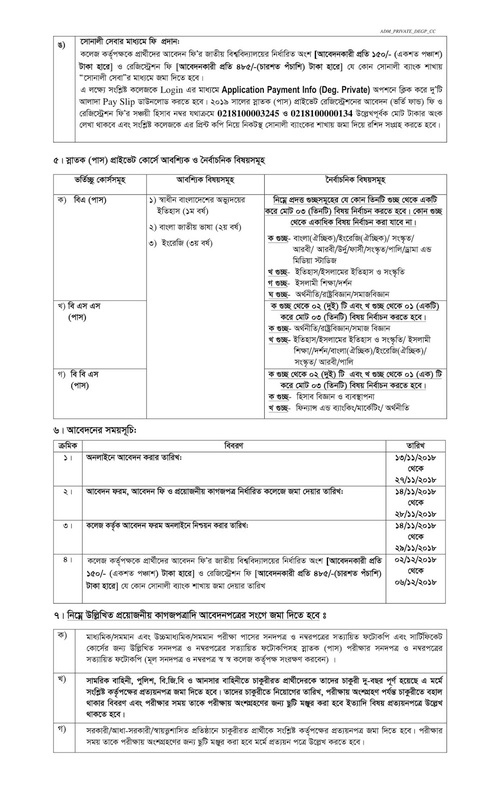 NU Degree Admission Notice 2018-19 Publish at Official Site of National University Admission Portal (http://app1.nu.edu.bd). National University Admission Degree Pass Course 2018-19. Students Who Passed SSC in 2014, 2015 and 2016 And HSC 2016, 2017 and 2018 Are Eligible to Apply. Students Age Must be within 24 Year as on 31 December, 2018 According to SSC Certificate. 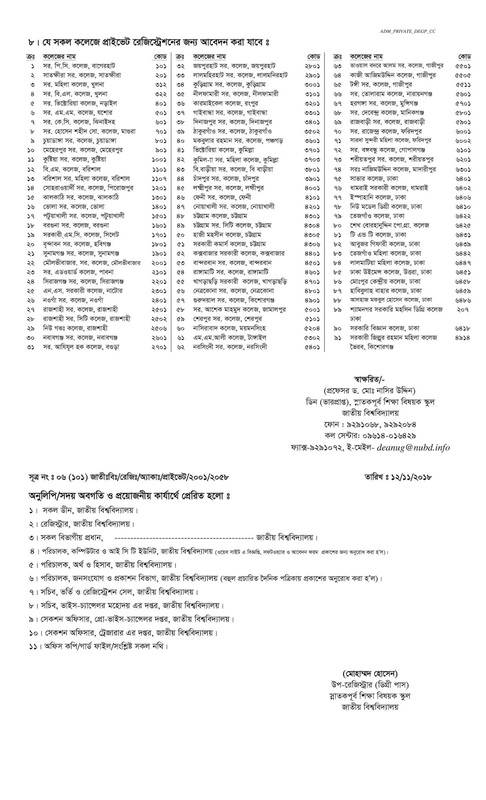 NU Degree (Pass) Admission Registration Circular Notice 2018-2019.